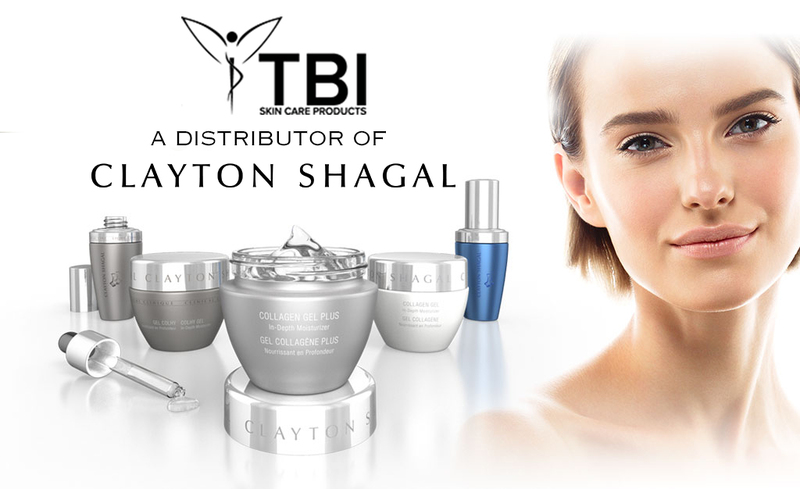 An Ultra Light Therapeutic Treatment for all hair types. 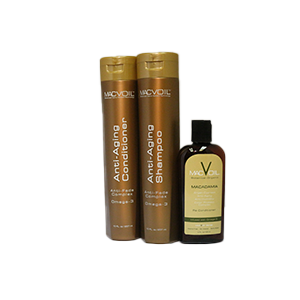 Moisturizes, reapirs and detangles for frizz-free, smooth and shiny hair. Extends the life of color treated hair, reduces drying time by 35-45% & rejuvenates dry and brittle hair back to health. Great for skin, scalp, nail and cuticle health! The natural ingredients in MACVOIL's proprietary blend of essential oil products have been used since the time of the Phoenicians. Women have applied the extracts to their hair and skin to eliminate wrinkles and create luxurious locks. MACVOIL™ utilizes these eco-friendly botanical ingredients and combines them through nano-technology to create products that are healthy, safe and natural. 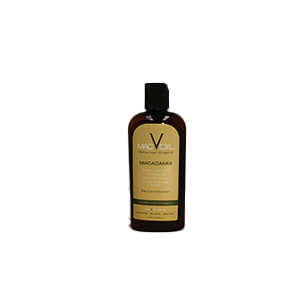 - Macadamia Oil: Cold pressed and known to soften the skin and improve the condition of the hair. Macadamia Oil is light, making hair shiny, silky, and moisturized. Great for heat damaged or dry hair. - Cypress Oil: Included in formulas for increased circulation and capillary strength. It is important to have good blood circulation to the follicles for optimal hair growth.